God is always so timely with whatever He is preparing us for. When reading the book of Esther we find Esther being chosen out of many young women in her town to be a selectee for the King Xerxes. Fast forwarding finding that Esther was prepared for the time many recall the words” A time such as this” we find the discussion of her true purpose coming forth which was to save her people. We also find that the very enemy that was planning to kill Esther’s uncle Mordecai who prepared her up until the day of her selection for the King being threaten for his life by Haman along with the Jews, and a secret betrayal concerning the King. But one up on the enemies of our life, because God had a plan! This very enemy sat before Queen Esther and the King’s very face not realizing Esther and Mordecai knew his dealings and the betrayal and death he plotted would become his own night mare! King Xerxes asked Queen Esther, “Who is he? Where is he—the man who has dared to do such a thing?” The enemy is exposed! Then Haman was terrified before the king and queen. The king got up in a rage, left his wine and went out into the palace garden. 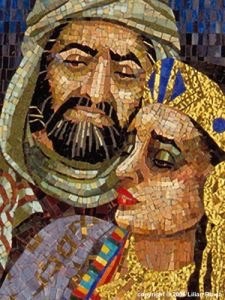 But Haman, realizing that the king had already decided his fate, stayed behind to beg Queen Esther for his life. Just as the king returned from the palace garden to the banquet hall, Haman was falling on the couch where Esther was reclining. The king said, “Impale him on it!” So they impaled Haman on the pole he had set up for Mordecai. Then the king’s fury subsided. Don’t you know whatever your going through God has not forgotten you? Through all of time and eternity your birthing was being strategically planned and it was for such a time as this Esther 4:14. A time of overcoming and a time planned for your good and not your harm as Jeremiah 29:11 speaks of! Whatever it may be keep the faith and never give up because your faith is excelling you to a time to meet the King on new levels where your breakthrough lies and no devil in hell can stop the work of the Lord! Amen In Jesus Name. Who would have known a common girl Named Esther, being orphaned would be purposed to become the Queen of Persia and be used to save her people?